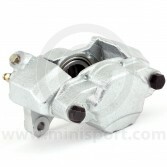 Here at Mini Sport, we supply a comprehensive range of Brake Calipers for Classic Mini – available for worldwide delivery. 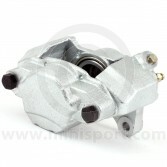 Browse our collections and find all the parts required to recondition your 7.5” Mini Cooper S or 8.4” Post-1984 Mini Brake Calipers. 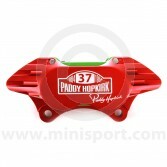 Alternatively upgrade your Classic Mini Braking System with Mini Sport’s acclaimed 4 Pot Alloy Calipers – available in 7.5”, 8.4”, 7.9" Vented and 8.4” Vented format. 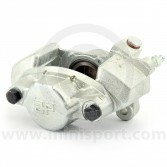 For Classic Mini Metro drivers we also supply reconditioned 4 Pot Vented Metro Brake Calipers. 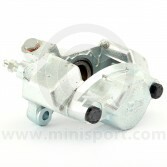 From Stainless Steel Caliper Pistons, Caliper Piston Seal Kits, Mounting Boss Kits and Mount Seals, Buzz Screws to Brake Conversions and Brake Discs and Covers– Mini Sport have it all! 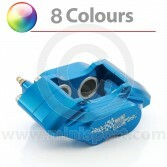 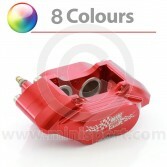 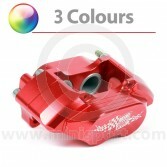 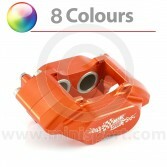 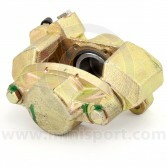 Need more information on our Brake Calipers? 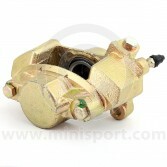 Contact our sales team, by email: sales@minisport.com or call 01282 778731 and we’ll be happy to answer your questions.